People applying for Social Security disability benefits often have more than one illness or injury that is causing their disability, making them unable to work a full-time job. Impairments that are not limiting enough on their own to qualify you for disability may still help your application when the combined effects of all of your medical conditions are considered together. 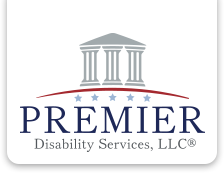 The law requires the Social Security Administration to consider the “combined effects” of impairments – both physical and mental or emotional – when making a decision about disability. The combined effects of such impairments may be disabling, even though each illness or condition individually may not be. That is why it is important for medical care providers to put all of your symptoms in their medical records. Sometimes people hesitate to file for disability benefits because what they think their major disability is bad, but not severe. And too often claimants do not tell either Social Security or their doctors about all of their symptoms. This happens for two main reasons. First, many people with chronic illnesses do not realize they also suffer from something else, like depression. Second, because they do not understand the law, they do not realize that a combination of all disabilities and symptoms may add up to winning benefits. The Blue Book requirements for mental impairments require Social Security to consider how limited your activities of daily living and social functioning are and whether you have problems with concentration or finishing tasks in a timely manner. Physical impairments often affect these areas as well. Social Security must consider the effect of your physical impairments when determining whether you meet the listing requirements for a mental impairment. Likewise, your mental impairments may have effects that increase the severity of your physical impairments. For example, even moderate anxiety and depression can decrease your tolerance for pain. Social Security is required by law to consider the effects of your mental and physical impairments together. If the combined effects of your various impairments do not equal any specific listing in the Blue Book, you may still be able to prove that your impairments are so severe that they prevent you from working full time. Social Security will assess your physical and mental limitations to come up with your “residual functional capacity,” or “RFC.” Your RFC describes what you are able to do despite the combined effects of all your impairments. The RFC assessment indicates whether your exertional (strength-related) restrictions limit you to sedentary work, light work, or medium work, and also includes any specific non-exertional limitations you have. For example, physically you may not be able to reach overhead, bend or stoop, use hand and foot controls, and be exposed to excessive fumes. Mentally, you may be limited in your ability to work with the general public or with supervisors and coworkers, or you may require extra training and supervision. The more limitations you have, the more likely you will be found unable to work. Most people who apply for Social Security Disability are initially denied benefits. If you are denied at the initial level, or in most states a secondary “reconsideration” level, you can file a request for a hearing before an Administrative Law Judge (ALJ) who will make a ruling on your claim independently from the decisions made at the earlier stages.After you request a hearing by submitting the proper SSA forms, the ALJ may decide to hold what is called a “prehearing conference.” These conferences are usually done by telephone. The ALJ does not have to hold a prehearing conference, but if the ALJ does, he or she will look to whether or not there is anything can be done to speed up the hearing process. If you get a notice of a pre-hearing conference, do not ignore it. We recommend that you seek the representation of a qualified advocate or attorney who can help you prepare the strongest case possible. At a pre-hearing conference, you will be asked about the medical treatment you have been receiving. The burden to provide evidence to support your disability is on you, and so it is up to you to provide the medical evidence about your mental and physical conditions that keep you from being able to work. The ALJ may also consider matters such as simplifying or amending the issues, obtaining and submitting evidence, and any other matters that may expedite the hearing. April is National Irritable Bowel Syndrome Awareness Month! If you have Irritable Bowel Syndrome (IBS), you are not alone – IBS is actually quite common, with prevalence estimated at approximately 10% to 15%. Yet many people remain undiagnosed and unaware that their symptoms indicate a medically recognized disorder. IBS, a relative of ulcerative colitis, is a form of inflammatory bowel disease that affects millions of individuals, women more so than men. Characterized by alternating periods of diarrhea and constipation, the debilitating symptoms of IBS also include abdominal cramping and bloating, and sometimes a significant amount of anxiety and stress. Between 20% and 50% of all visits to the gastroenterologist involve IBS. Individuals who are not able to control the symptoms of IBS usually have significant restrictions in their daily activities. Although IBS is a commonly diagnosed condition, it can nonetheless be a severe impairment. IBS is not currently included in the Social Security Administration’s Listing of Impairments (medical conditions that listed are eligible for benefits if the applicant meets the criteria in the listings). However, if you can prove that your symptoms are painful, disruptive, and distracting enough to keep you from working a full-time job, you may be able to get benefits.